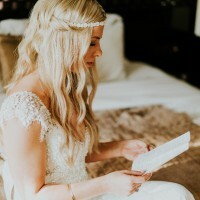 This was my Absolute Dream dress, i knew the second i put it on! extremely comfortable and easy to Move in.. 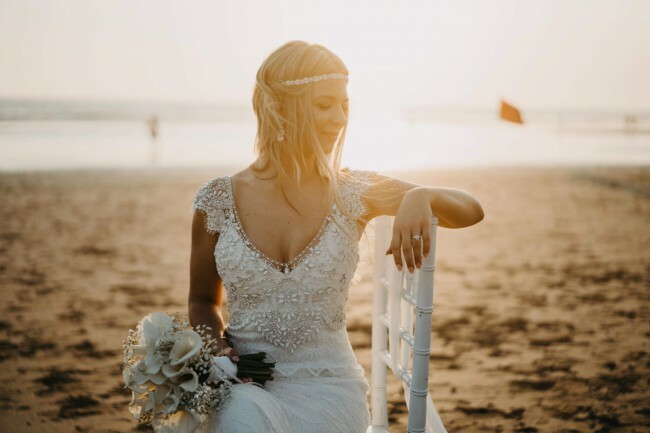 I had a beach wedding in Bali and found the material was nice and light and very breathable. The amount of detail that goes into the dress is simply stunning. The Ruby layers delicate fringed lace with ivory and pearl-toned hand-beading. Combining dreamy Bohemia with the classic Anna Campbell low back and silk bow. I am usually a size 8-10 Australian with a DD Cup bust. I am 158cm Tall and had the dress altered to sit just touching the floor as I was barefoot on the beach. Once you send a message, Jaymi can invite you to purchase the dress.